for the Great River Shakespeare Festival. Front row: Margaret Kiihne, Kathy Seifert, Dee Cipov, and Mary Kaser. 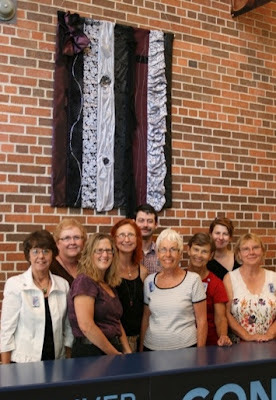 Back row: Mary Alice Anderson, Connie Larson, Mary Lee Eischen, John Baird, and Jeanne Oost, stand in front of the art quilt. 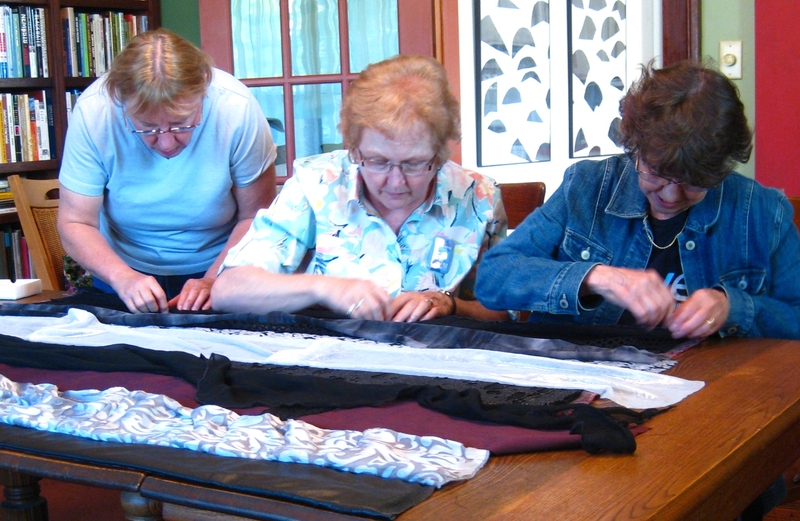 Here's a peek into some of the thinking, creating, and working together of these artists, quilters, and stitchers. 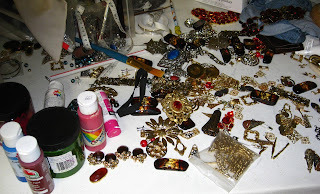 The fabrics were gathered up from Season Eight by Margaret Kiihne and Jeanne Oost. Thoughts began swirling in Margaret’s head as the winter passed. 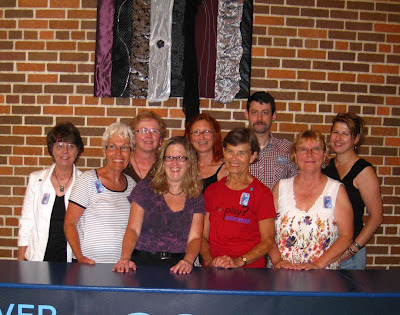 Then she called all the quilters, artists, and stitchers together to begin the creation of the Season Nine Art Quilt. We met on February 17, 2012. Connie Larson and Margaret Kiihne hold up the art quilt to audition fabrics. 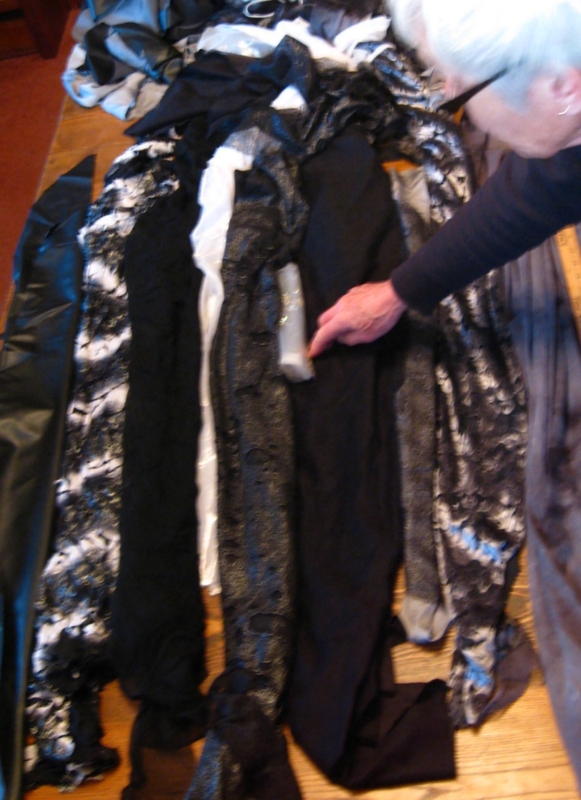 Everyone considers the next fabric. 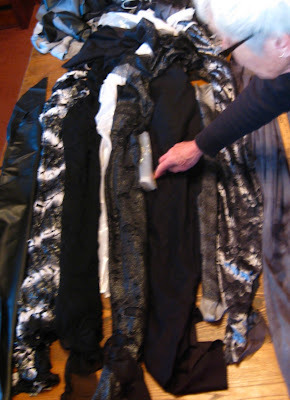 Fabrics get laid out. Thoughts shared. What about a different construction technique this year? Quilt as we go? Columns of fabrics? 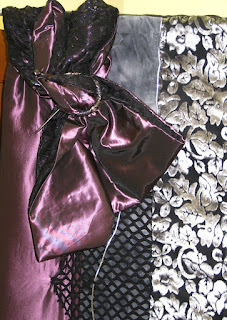 What about rivers of fabrics? Nine fabrics for season nine? All decisions were made by consensus. Lots of ideas to share. Mary Kaser, Connie Larson, and Mary Alice Anderson stitch together. 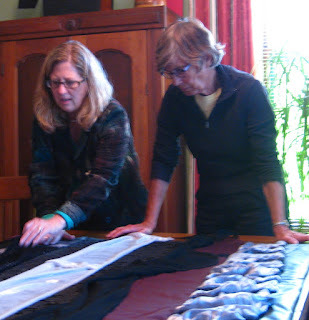 Kathy Seifert and Dee Cipov discuss another river of fabric. 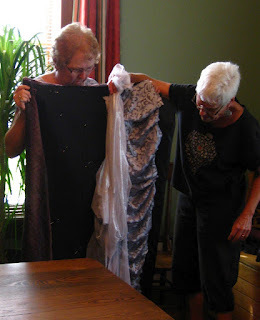 John Baird, crafter, for the Great River Shakespeare Festival’s costume shop stitches the last quilted rivers. 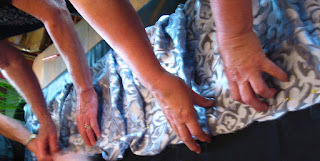 Jeanne Oost, custom shop supervisor, supports the fabric as John sews. 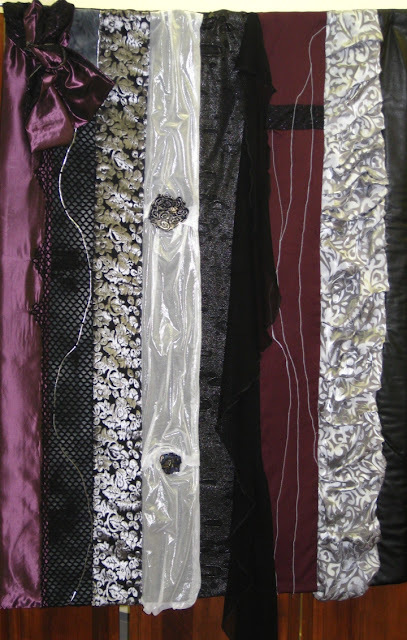 Detail for the fibula or clock pin used in the art quilt. 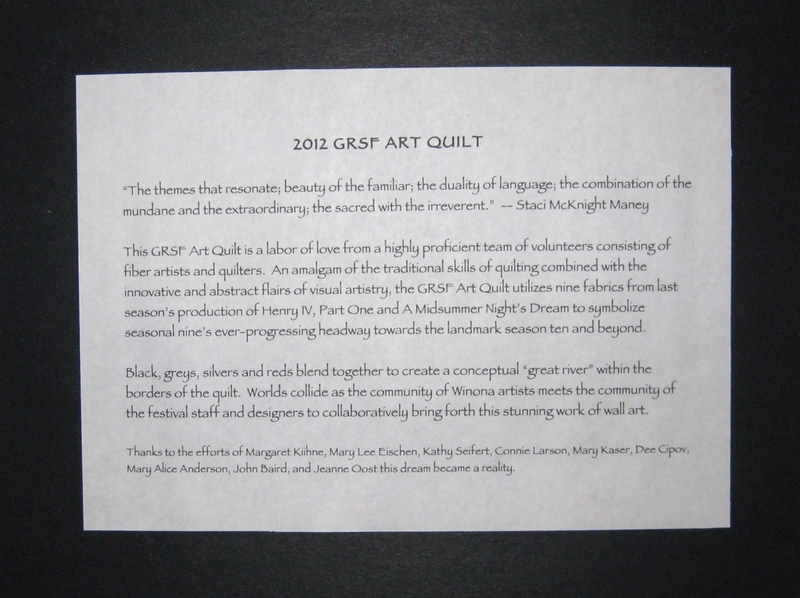 Write up about Season Nine's Art Quilt. The whole group standing in front of the Art Quilt in the lobby of the Performing Arts Center of Winona State University. Group picture taken by Kathy Christenson. 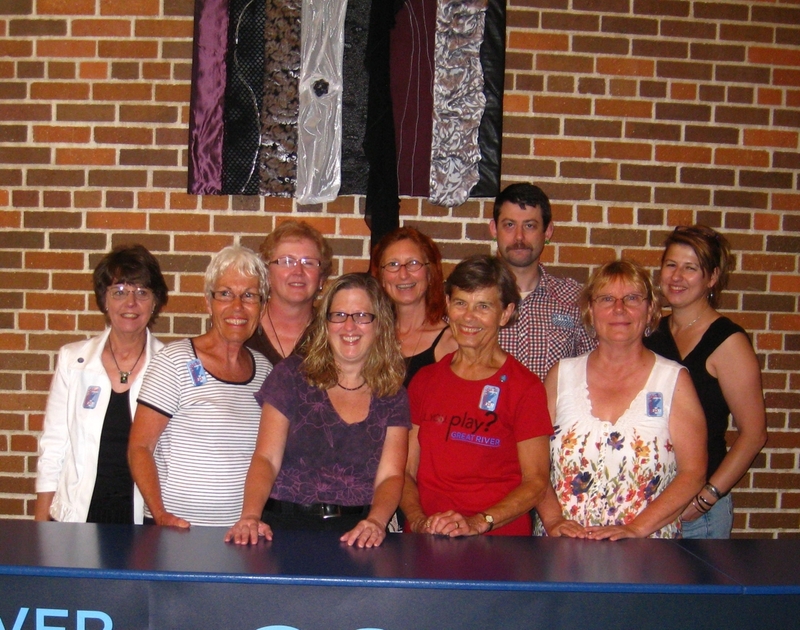 Find out about everything happening at the Great River Shakespeare Festival. Raffle tickets go on sale soon. Buy a ticket to win this beautiful work of art.